Ogilvy & Mather Chicago worked on the campaign. LONDON: Dove, the personal-care brand owned by Unilever, has launched a video as part of its global marketing campaign that challenges perceptions of female beauty. The short film, shot in five countries and developed by Ogilvy & Mather Chicago, is designed to inspire women to reconsider their choices about beauty and question how those choices make them feel. The Choose Beautiful campaign was filmed in London, Delhi, San Francisco, Shanghai, and Sao Paolo. 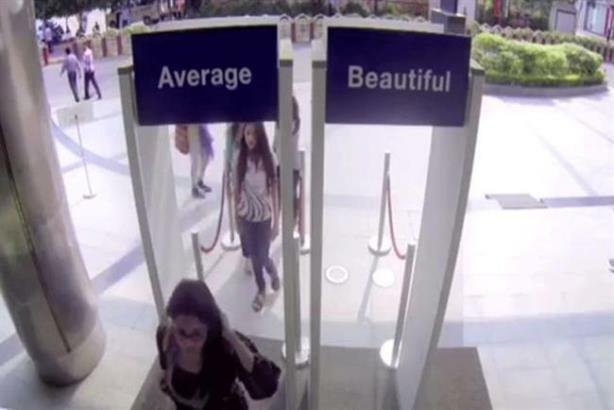 It invited women to walk through a door labeled "average" or another labeled "beautiful." Dove launched the trailblazing Real Beauty campaign more than a decade ago with the goal of boosting women’s self esteem and changing the way they talk about beauty. Whether through modesty or insecurity, the film revealed how many women chose to walk through the "average" door. The campaign aims to challenge what it believes is an instinct to settle for average. "While we were filming, it was so clear that the women who chose to feel beautiful shined with a positive, empowered outlook," said Paul Dektor, the film’s director. "We all have the personal and powerful ability to rise above others’ points of view, social media, and pop culture, and I hope the Dove Choose Beautiful film inspires women around the world to reconsider how they view their own beauty."